Any dog owner will tell you the importance of dog training. If you want your dog to be trained but you don't have the money to pay a dog trainer, then your next option is to train the dog yourself. But before you can do this, you must spend time and effort to know how to do it. Dog training can be a rather challenging job, but finding the right dog training supplies makes training a lot easier. But before you start, make sure that you have enough time to spend. Dog training may take a few hours everyday. You must also identify the area where you will do the training. It can be in your backyard or in the park. To find good training guides, you make an internet search. Here you can download articles and watch training videos found in some websites. You may also enroll in a training program that some websites offer. You may also visit pet shops and find good training kits there. These are the same sources for training supplies. Before you purchase any supply, compare the products first using factors such as price, performance and usefulness. The basic tool that any trainer should have is the collar. 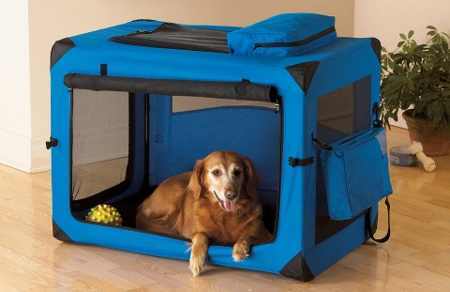 It can be made of nylon or leather, depending on the size and breed of your dog. It can also be an electronic collar. While this may seem dangerous, manufacturers swear that their product is safe. 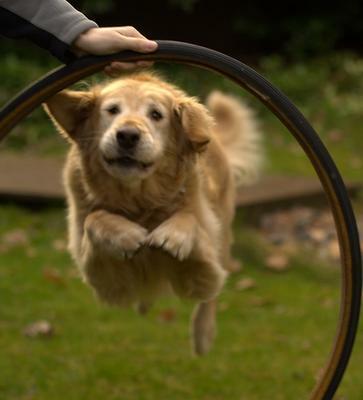 It also lessens the effort that you need to exert in resisting the dog's movements. There is also what is called a bark collar, which can control bad and excessive barking. These electronic tools make training easier, although it may cost quite a fortune. Another tool is the leash. This is used when training the dog to walk. There are also other aids like harness, toys, food, whistles, clickers, bells, poles, and many others. The equipment that you'll need depends on the training program or technique that you will use. Positive enforcement is one technique that most dog trainers use. This may also be called a reward system, where dogs are given praise and treats after showing some positive behavior. However, on the flip side, you must not punish your dog if he misbehaves. Positive enforcement does not believe in the use of punishment to enforce discipline. Most trainers will tell you that younger dogs are easier to train than older ones. This is because puppies are yet to take up any habit. Good habits must be established early on. But this does not mean that older dogs cannot be trained anymore. Any dog can still be trained. It will just take more time and effort if they have already taken up some bad habits. The key to success in dog training is in finding the best dog training supplies. But this does not mean that you need to have all kinds of aids available. With just a few pieces, coupled with adequate dog training knowledge, you can be successful in this endeavor. Aside from these tools, you must equip yourself as well by reading dog training guides. Training your dog is not an easy job. But the feeling of accomplishment that you will have is sure worth the effort that you spent once you succeed.